I know that I have been gone a long time, but, my time has not been wasted. 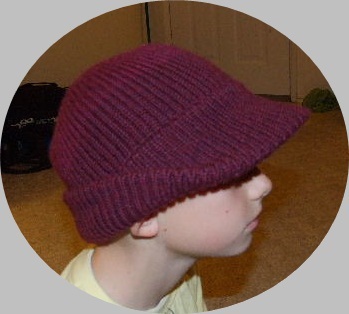 I was fortunate enough to spend time with my creative brother, who has come to love knitting. Our time together was very productive. 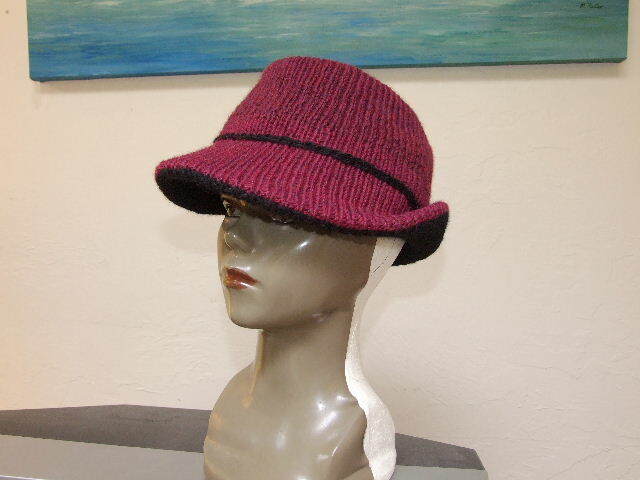 We developed shortcuts, a bag of “fix it” tricks for knitter’s, a pattern for Tabi socks and lastly 2 new hat patterns. And, to top it off, we fingered out a way to alter a cheap Styrofoam Wig head to replicate our individual head measurements. 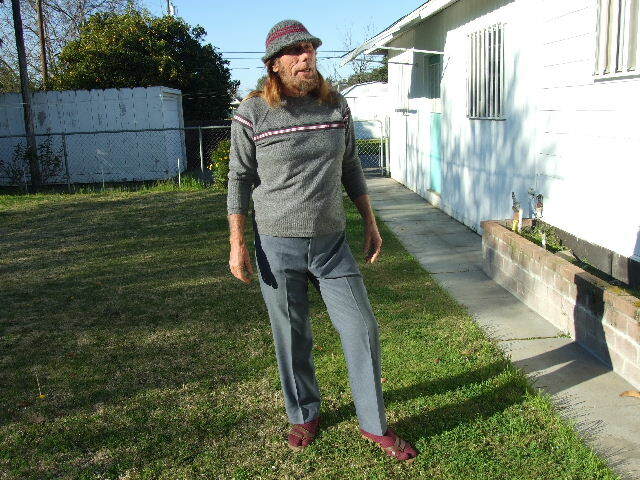 So without further ado, here’s my brother Wayne, sporting his new look. 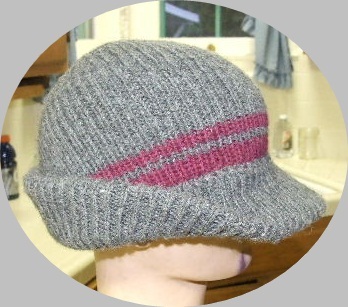 This ribbed hat pattern, knit from the bottom up, includes three versions, all with visors, and 2 crown designs, and, unlike a lot of hat patterns, this one is not a beannie. Here is my version, with the flatter crown. This pattern is available in my Etsy store. I call this one a Mock Tyrolean with recessed crown. I have had lots of compliments on it. Hope you like it. 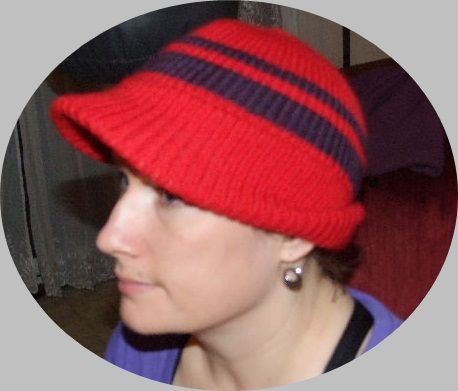 Now, before I forget it, I have a free pdf that shows you how to alter a Styrofoam wig head to use for designing your own hats.